4 proposals were readied for vote last night. Those proposals were for Oak Grove Park refurbishment, Cherrydale Park refurbishment, Quebec Street trees, and Monroe St Utilities poles (movie’s from middle of sidewalk to sides of curbs). and courteous and even sometimes humorous. 55 Cherrydale members voted. Oak Grove won with 26 votes. 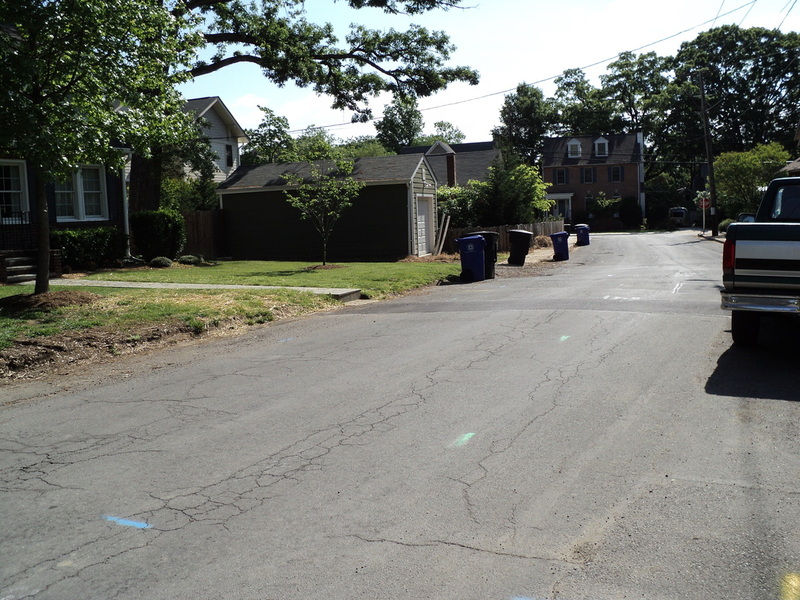 Cherrydale Park will be the back up project should Oak Grove fail for any reason. (This way we don’t miss a funding round as we have an immediate back up). However, if Oak Grove is funded, then Cherrydale will vote for its next project again. This was a huge amount of work for Harry Spector our NC rep and we all owe him our gratitude. Thank you also to volunteers who captained the proposals. Do not give up. dumpster, tools and supplies to help with the clean up. Speak up and lead, put your heart and muscle in to it, we’ll help you. Thank you to officers for helping me prepare for this meeting and to Bill Novak and Lita Miller and Jim Todd for all your input and hard work. Special thanks to Katherine Christensen and Andy Claster for keeping the vote simple and fair, and me organized. Say your street cries for affection. 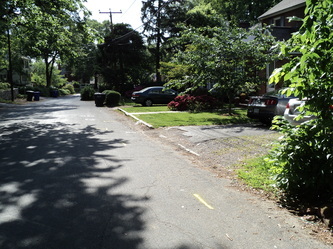 Curb, gutter, sidewalk, paving, it needs it all after years of traffic, weather, pothole fill-ins, and little maintenance. Or perhaps you are fed-up your loved ones must risk their lives each time they jog or bike on your pitch-black street. A few elegant Carlyle street lights would add both safety and some character to the neighborhood. Maybe you are lucky and your block is near perfect except for the constant speeders. A gateway and other traffic calming measures would be a great way to give drivers a hint they are far from the autobahn. You and your neighbors would be ecstatic to have these improvements but whom do you ask? 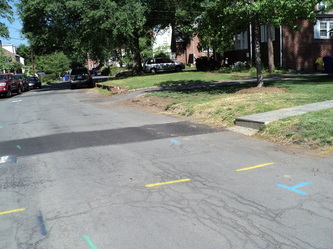 In Arlington the primary way to get your street (and parks) modernized is through its Neighborhood Conservation program. Say who? Neighborhood Conservation, or“NC,” as it is commonly referred, is a bond-funded program that offers member civic associations, like CCA, funding for small capital projects. The not-too-old brick wall around the electric sub-station at Monroe and Lee is a prime example of a NC beautification project. 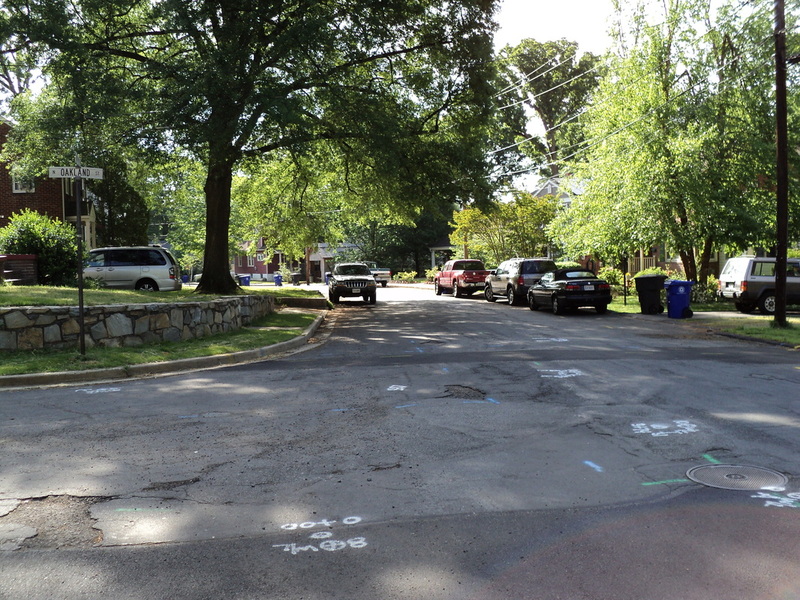 Other projects like the curb, gutter, sidewalk, and street light improvements on Stafford at 15th are more typical, but just as important to what NC means to Cherrydale. Soon 18th St. from Quincy to Nelson will become safer for pedestrians and more eye-catching too thanks to NC proceeds. There is a problem though. 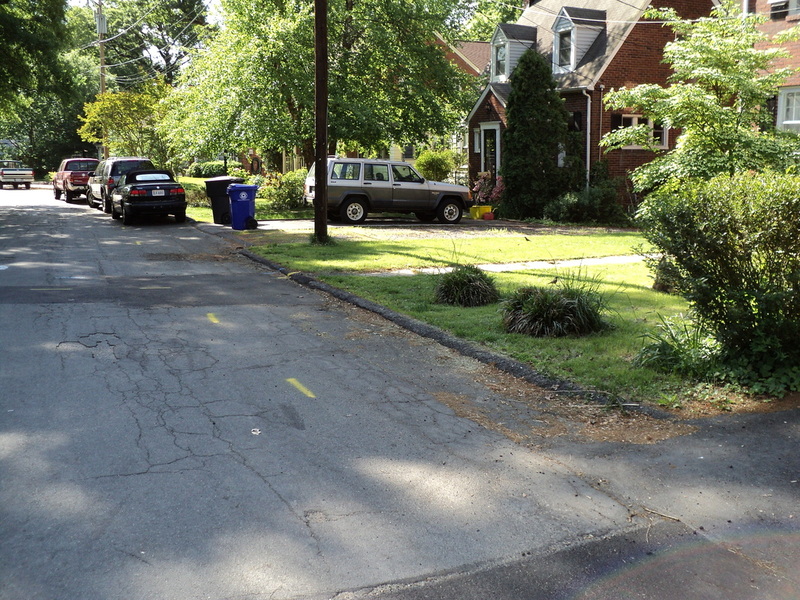 For all the good NC does it is heavily burdened as the chief means of neighborhood street improvement in the county. 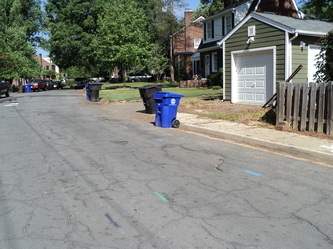 Growth in NC, now with about 54 neighborhood association members, is steadily increasing with little other funding available to obtain basic street maintenance and improvement. With the average project costing $400,000, and NC funds set at approximately $6 million annually, the number of projects any civic association can get is limited. Cherrydale’s recent NC project pace is about one a year,but only because so many Cherrydalers toiled to update our NC plan, which is a tedious endeavor at best. An updated plan allows us to receive extra funding points so our projects rise to the top of the line quicker. Obviously there is not enough money available for every neighborhood to get a new project each year so the hard work it vital and does pay off. Even with the sweat put in to get extra NC points, in a neighborhood as old as Cherrydale there is a virtually unlimited number of possible NC projects. If the NC budget were four times current level it would take decades to attack all of Cherrydale’s infrastructure and park woes. 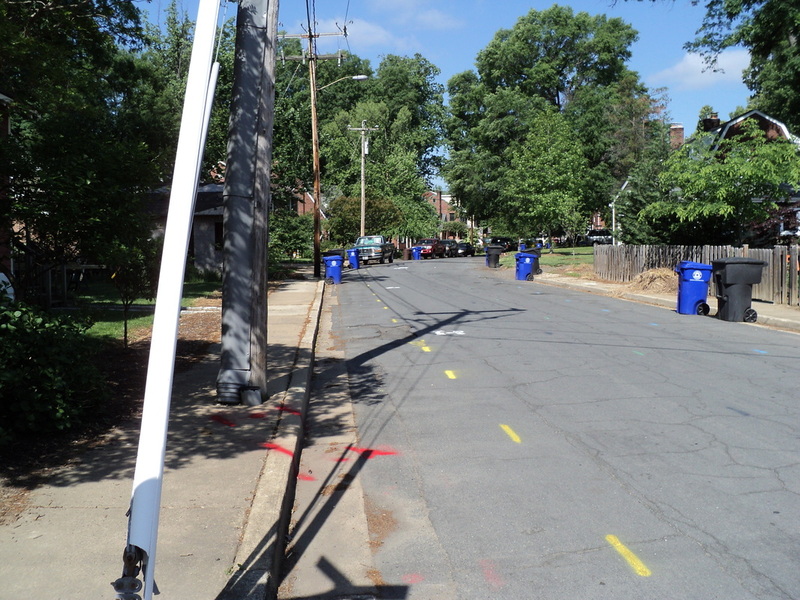 CCA’s current process for approving new projects is unwritten and mostly “first come, first served.”While all of Cherrydale’s NC projects are terrific and worthwhile, the current procedure inherently favors blocks with residents “in the know” about the program. 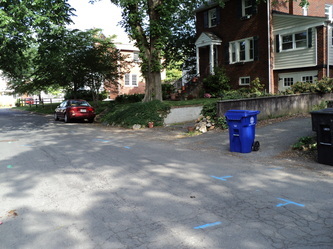 Cherrydalers who may not have the time or desire to wallow in the minutia of county programs, but still care about their block or park, are for all practicality left out even though their tax dollars support the program. It also creates an information vacuum making it difficult for CCA members to objectively evaluate each project proposal on its merits rather than being first to file. For years NC had a construction backlog causing many projects, like our own on 18th St., to taken early a decade to get funding. It also halted acceptance of new projects. To alleviate this, NC took measures to remove inefficiencies causing the backlog and resumed accepting new projects last Spring. I am pleased to report all of Cherrydale’s previously voted-on projects have been funded or will be this June. In light of this occasion, as Cherrydales’s NC Representative, I proffered to CCA’s Officers that this rare clean-slate made it an ideal time to craft a new, more open, NC project selection procedure. They agreed and the text of the draft, subject to CCA approval, is on the facing page. The immediate goals of this procedure are three-fold: 1)to give the entire Cherrydale community notice of the opportunity to nominate a project; 2) to give all participants the same set of rules in which they may nominate a project, and 3) to give CCA members an objective guideline of what projects benefit not only the respective block, but Cherrydale as a whole,while still ensuring that members have the final vote, based on nothing but their own judgment and desire. I will explains the “whys” of proposed procedure’s details at March’s CCA meeting followed by an open discussion.Attending CCA members will have the opportunity to propose changes, and then vote on a final official procedure. The NC program is tiny, yet, has a tremendous positive impact on Cherrydale as one of the few mechanisms to get basic infrastructure and park improvements. So I hope you will come to the March meeting and support a new fairer and more democratic NC project selection procedure that benefits all of our Cherrydale neighbors. To view the file containing the spring 2012 NC project proposals and related info, click here.